Whether you enjoy keeping on top of it or you’re totally over it, for many of us, the World Cup is taking over our TV screens and our homes. As one of the greatest sporting spectacles on the globe, the World Cup can evoke a spectrum of emotions, passions, frustrations – the highs and the lows of a tournament that brings nations and people together. In homes where domestic violence manifests, the World Cup can see families and lives continue to be torn apart by igniting and escalating violence that’s already prevalent. We must emphasise that the World Cup and other major sporting events do not cause domestic violence and most men who enjoy football don’t abuse their partners. Domestic violence operates 365 days a year destroying and taking lives. It is patterned, intentional, calculated and certainly not as a result of sport or any other excuse for that matter. With that said, Police and domestic violence support services such as Women’s Aid often see an increase of incidents and referrals during major sporting events. Why is that and what can we do about it? Increased alcohol consumption can be a major factor. Again, alcohol does not cause domestic violence – it’s not and it cannot absolve a perpetrator from his actions. However alcohol or drugs reinforced by the added tensions in a volatile home can be disastrous for a victim and her children. Perpetrators entrap their victims in a coercive and controlling cycle of violence, an invisible grip which can make it seemingly impossible to break free from. This cycle of violence is made up of tension building phases, violent eruptions and honeymoon periods. Sporting events can aggravate tensions in the home and add to the notion of “walking on eggshells” and constant risk assessing for victims. The tension building phase often results in an explosion, one of the most frightening and dangerous times for a victim. We often hear a loss of temper as an excuse for violent outbursts, with adrenaline, anger and rage at the heart of it. But violence cannot be mistaken for a loss of control. On the contrary, domestic violence is underpinned by the need for power and control. Added time spent at home can do little to help. Summer holidays and time off can mean more intense periods of time at home, therefore exposure to abuse can be heightened. Other issues can include betting or gambling which can come hand-in-hand with sport. With gambling comes inevitable loss, with loss comes irritability, frustration and anger. Add that to the mix of domestic abuse and the picture continues to darken. It’s important to mention that domestic abuse transcends physical violence. Emotional scars can be harder to see and more difficult to overcome. A perpetrator cunningly erodes a victim’s sense of self-esteem, corrodes her to the core and steals her sense of identity. Victims are often made to feel worthless, ashamed, and guilty. Domestic violence also encompasses sexual, psychological and financial abuse. Each as profound and potentially damaging as the last. 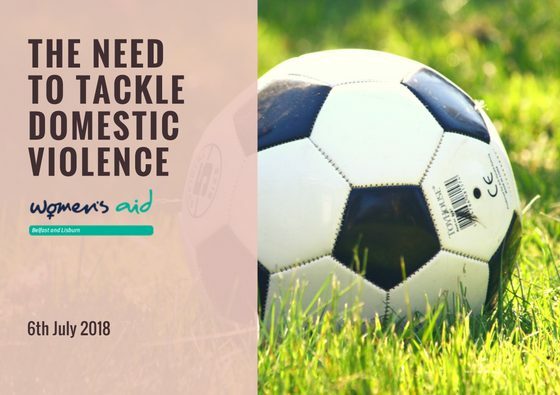 Campaigns such as the “Give Domestic Abuse the Red Card” campaign, highlight the issue which reinforces research showing that domestic violence incidents increased when England both lost and won football matches, increasing with every World Cup. More incidents on record means that more women are coming forward to report abuse, but we know that it is still massively under reported. On average, a woman is assaulted 35 times before seeking help. Only by empowering victims and sending out a message that domestic violence is unacceptable, can we hope that change will be on the cards. 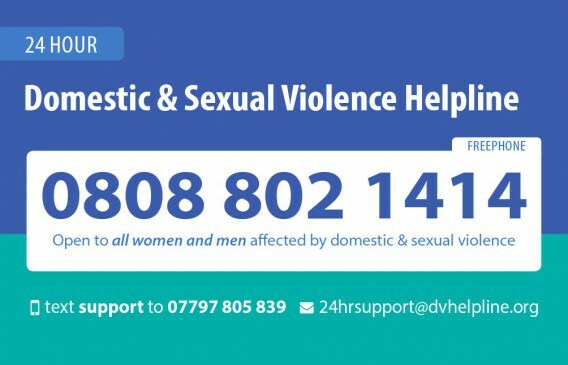 If you have been affected by domestic abuse it’s important to know that you are not alone. Support services are there to listen, believe and support you and can offer non-judgemental and confidential support. It can feel isolating and hopeless at times, but organisations such as Women’s Aid work to empower those affected to take back control over their own lives. Safety and support plans can be put in place to safeguard and offer victims a choice. If you are in danger, ring 999. Talk to someone- you are not alone. If you know someone who might be suffering as a result of domestic violence, it’s important to be there for them, to listen and believe. Perpetrators often isolate victims from friends and family – look out for each other and offer a listening ear. Sign post to services where necessary. Never victim-blame or pass judgement. Events surrounding domestic abuse can only exacerbate it where it already exists. It should never be tolerated. 1 out of every 4 women will be affected in their lives. On a scale of that magnitude, we can all play a part in challenging the societal attitudes that perpetuate it. Sexist and misogynistic attitudes which can be prevalent in sport including football, can facilitate a backdrop where domestic violence operates. By standing up and speaking out against damaging “locker room banter” and degrading treatment of women, we can tackle this behaviour and blow the whistle on domestic violence.